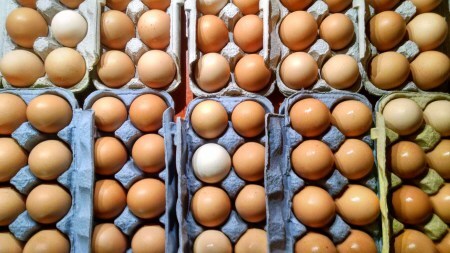 A case of fifteen dozen fresh eggs from our pasture-raised chickens. Fed 100% certified organic, soy-free grain. Mostly brown eggs, although we sometimes have a few mixed color eggs to keep things interesting.